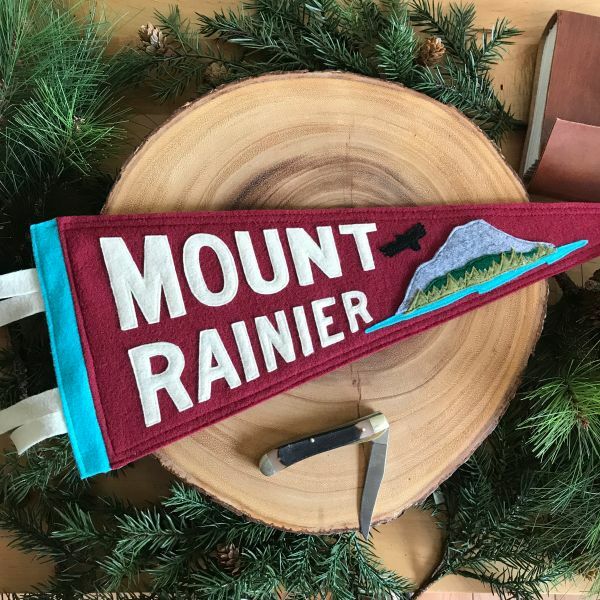 This is a really awesome Mount Rainier Pennant, perfect for your office cube or wall. A unique pennant hand-crafted with love in partnership with Yoho & Co (www.yohoco.ca). 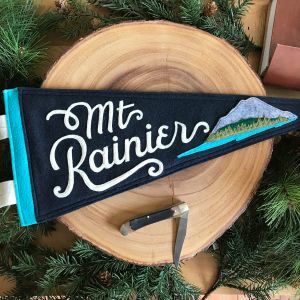 100% sewn & stitched felt pennant.